Tess Chandler, Hannah Chandler and Hallie Bates of Three Cousins Strawberry Patch captured the Grand Champion title at the Poteet Strawberry Festival Auction on April 14. The crate of winning Albion berries sold for a total of $16,100. The premium buyers were H-E-B and Bud Light- Silver Eagle Distributing, which each bid $6,350. Other contributing bids were: Atascosa County Judge Bob Hurley- $500, Hurley Funeral Home- $500, Stuart Knowlton- $300, Latka Cattle Co.- $250, Poteet Lions Club- $250, American Electric Power- $200, Matco Tools- Larry Wagner- $200, Peter Flores- $200, Poteet VFW- $200, Southern Smiles- Dr. Jeff Jacobs- $200, Tuttle Motor Co.- $200, RB Bar Ranch- $150, Brown’s OK Corral- $100 and Pure Party Ice- $100. Poteet strawberry grower and owner of Poteet Country Winery Jim Collums was this year’s Reserve Grand Champion winner. The winning berries of the Camino Real variety sold for $6,000. The premium buyers of Collums’ strawberries were Bud Light- Silver Eagle Distributing and H-E-B, which both bid $1,800 each. Other contributing bids were: Hurley Funeral Home- $500, Poteet Lions Cllub- $400, Poteet VFW- $200, Southern Smiles- Dr. Jeff Jacobs- $200, Tuttle Motor Co.- $200, Latka Cattle Co. – $150, RB Bar Ranch- $150, American Electric Power- $100, Barnes Ventures- Dr. Jason Barnes- $100, Brown’s OK Corral- $100, Pure Party Ice- $100, Security State Bank- $100 and Stuart Knowlton- $100. Judge Weldon Riggs said strawberries are judged on uniformity, size, color, fullness on the inside of the berry and taste. He doesn’t discriminate against a tart berry- he wants a berry that has flavor. Located at 575 Rutledge Road in Poteet, Three Cousins Strawberry Patch started out small. About five years ago, Will Bates and his wife began planting strawberries in their flower beds. His granddaughter Hallie Bates told Will she wanted to be in 4-H to raise a pig. They planted Albion and Seascape berries, built a mound and placed the plastic over it. The 4-H project turned out well and soon grew to Hallie’s Strawberry Patch. Once it was decided Hallie’s cousins Tess Chandler and Hannah Chandler would join the endeavor, it became Three Cousins Strawberry Patch. The family first holds a meeting to decide what to plant then they order the plants. The girls, their grandparents, parents, cousins, relatives and friends all joined together to plant in October. The field is about an acre in size. The girls weed, put in a lot of time and make most of the decisions. Funds from the patch go towards the girls’ college funds. “When it is all over with and we are not doing it anymore, we will have something to show for this. It gets us outside and working,” Bates said. Hallie Bates is the daughter of Josh and Haley Bates of Poteet. Her maternal grandparents are Clyde and Susie Butter. Tess and Hannah Chandler are the daughters of Ross and Meaghen Chandler of Marble Falls. Ross is Senior Pastor at the First Baptist Church of Marble Falls. Tess and Hannah’s paternal grandparents are Carl and Peggy Chandler. All three girls are home-schooled. Before the auction winners were announced last Saturday, the three girls shared how family members and friends all wore headlamps the night before, to try and beat the storm. The next day before sun up, they picked again. Right now the strawberries are at their peak. This year’s crop is expected to last into a week or two in May. “We have 10,000 plants this year. With God’s graces, it was good in producing,” said Bates. Like with many farms, since labor is difficult to find Three Cousins Strawberry Patch advertises as a “pick your own” farm, although you can also order berries that Three Cousins will pick for you. Through social media, they have had visitors from China, Saudia Arabia, Norway and South Africa. Calling ahead of time is encouraged, so they can check availability. You can contact Three Cousins Strawberry Patch at 830-480-2060. Be sure to see next week’s issue for the winners of the Taste of Texas Food Show and more photos. 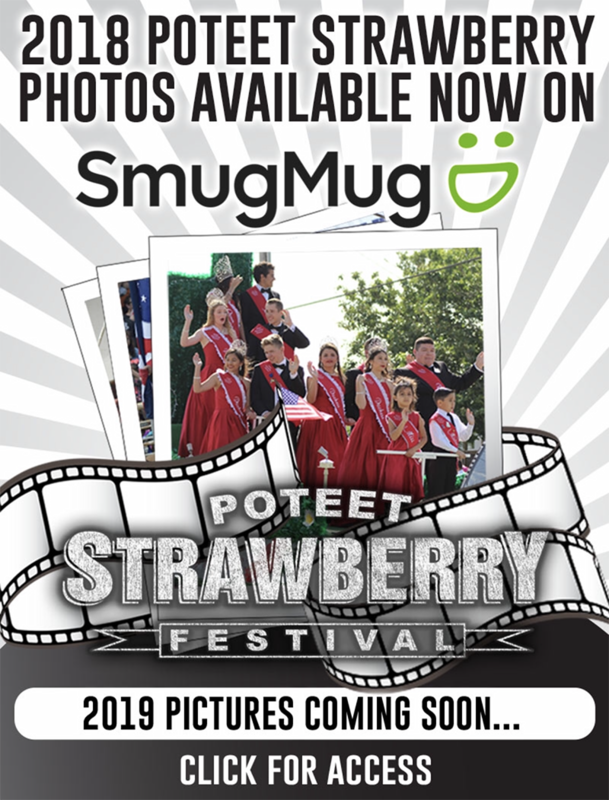 Also, see page 12A for some of the photos submitted in our Poteet Strawberry Festival photo contest #strawfest18. The winner for this year’s contest is of Olivia Briseño. Her mother, Nicole, snapped the photo. She is the daughter of Nicole and Travis Briseño of Rossville. She wins a framed photo, bragging rights and a subscription to the Pleasanton Express.